Jakarta, Europe on Screen returns next week to indulge Indonesians with more films from the Continent – just in time for those who may need to recover from the post-election blues. Indonesia's longest-running international film festival will screen a curated selection of European films over 13 days, starting from April 18, a day after the country's simultaneous presidential and legislative elections. The free-entry event will feature 101 films from 27 European countries in 277 screenings in eight cities. Screenings in Jakarta will be on April 18-30, Bekasi, West Java, on April 19-28 and Tangerang, Banten, on April 20-25 and April 27-29. Bandung, West Java, will host the event on April 24-29, Medan, North Sumatra (April 22-28), Denpasar, Bali (April 26-27), Yogyakarta (April 22-27) and Surabaya, East Java (April 19-29). "Europe on Screen is in its 19th year now. For almost two decades, the festival has consistently brought exciting European films to various cities across Indonesia, perhaps inspiring them to make films and create stories as well," said Nauval Yazid, festival co-director. This year, there will be outdoor screenings in several cities, while a special event, Film Talks, in Tangerang and Bandung will see European filmmakers share their experiences with local film industry players. Europe on Screen also presents the second Short Film Pitching Project, which started earlier this year. Under the program, Indonesians are invited to produce short films, with the winning entry screened during the next Europe on Screen. Of last year's 120 submissions, 10 were pitched to professional filmmakers and three received partial production funding from the festival. Europe on Screen will show the two winning entries, "Lasagna" and "Bangkis," this year. Besides European films, the festival will also include the contemporary Indonesian films, "Arini" and "The Gift," shot on location in Europe. After the screenings, the filmmakers will share their experiences of making the films in Europe. The festival aims to make the screening of films from Europe a more regular feature in Indonesia. It hopes to foster cooperation between the European and Indonesian creative industries and also bringing young European filmmakers to work with Indonesians. "Cinema is a wonderful platform for raising awareness. This year, we focus on the protection of the environment with a cycle dedicated to #OurLand. 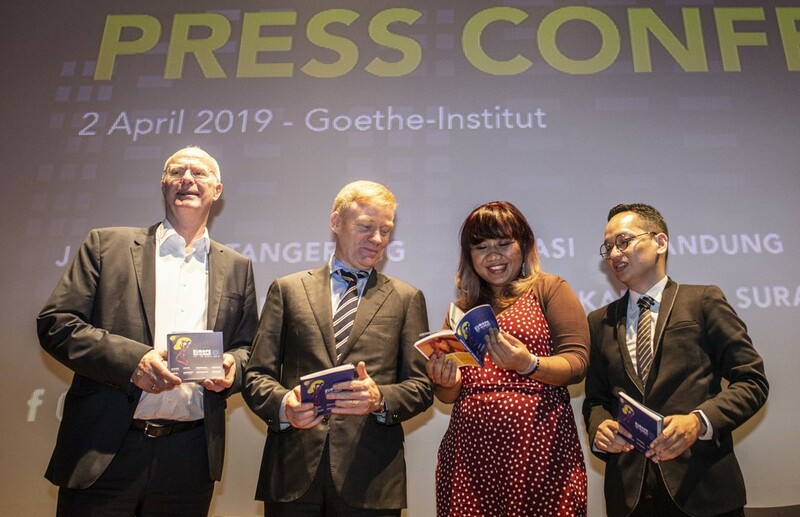 We will also celebrate the 100th anniversary of the German architectural movement Bauhaus and pay tribute to the great Italian filmmaker Bernardo Bertolucci," said Vincent Guérend, the European Union's ambassador to Indonesia.